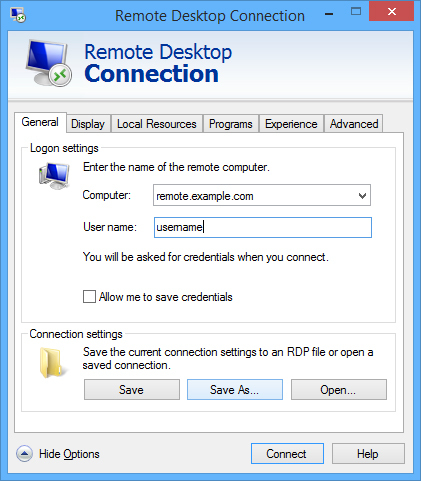 In order to access and control another server or computer on your network or across the Internet, you can connect via a Remote Desktop (RDP) connection. 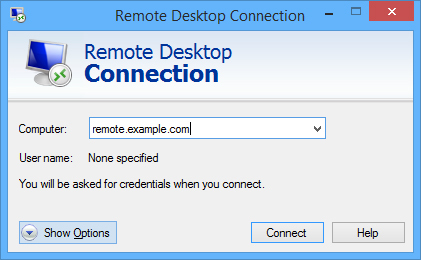 This is very similar to logging into your own computer, and you will need to have valid credentials (username, password, domain) to log onto the remote computer. 1. 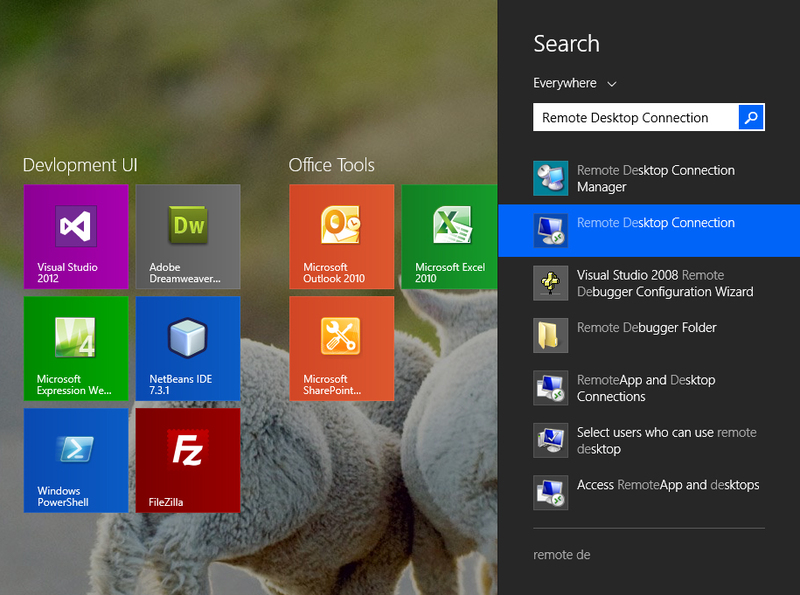 From the Start Menu, search for Remote Desktop Connection, and click on the correct search result shown below. 2. In the popup window you can enter the remote computer's name. Click on Show Options if you plan on entering account information. 3. In the User name field, enter your user name. 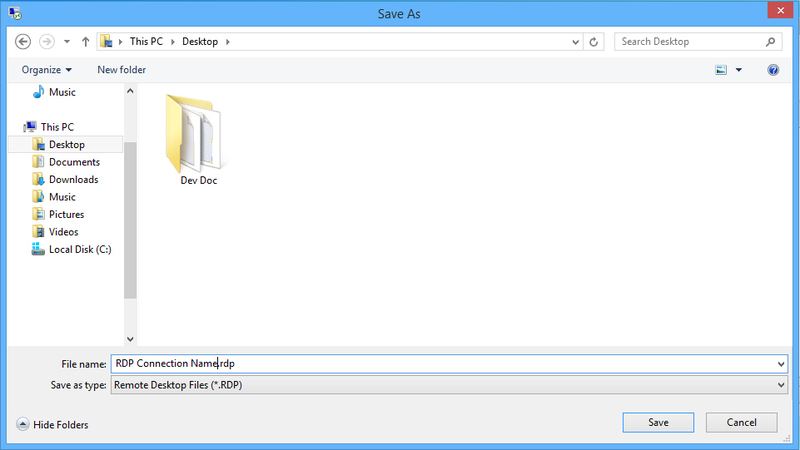 To create a shortcut for this RDP connection, click on Save As. 4. In the popup menu, navigate to your desired location (e.g. Desktop) and give the shortcut file a unique name (e.g. "File Server").